Mustafa Batdyev was born in 1950 in Kazachstan republic of Russia. He graduated from economics faculty of the Moskow state university. Also completed the post graduate course of the same university. For 6 years he worked as a chief economist in "Rodina" kolkhoz of Prikubansky region of KChR. Since 1999 he was working as a deputy chairman of the KChR goverment. 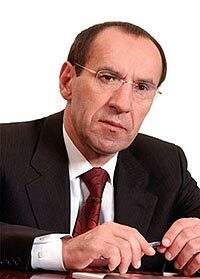 Since 2002 he was the president of the national bank of KChR. 4 September 2003 Mustafa Batdyev inaugurated as a president of Karachai-Cherkess Repulic.